Should You Purchase a Portable or Window AC Unit? Installing an air conditioner in any room of your home can keep the air temperature at a comfortable level. The air conditioning process works by using chemicals in the unit called a refrigerant. This is a liquid substance that efficiently absorbs heat from the air, passing it over a set of coils for chilling, changing this heat from a liquid to a gas. This gas is then pressurized by a compressor, forming heat that must be evacuated outside. Many homeowners feel confused as to whether they should invest in a portable conditioner rather than an appliance that is installed inside a windowpane. The size of the room needing cooling. The exact position in the room where you intend to position the installation. Many consumers choose a portable conditioner due to its ease of installation. You don’t need an engineering degree or previous experience to get the thing up and running. 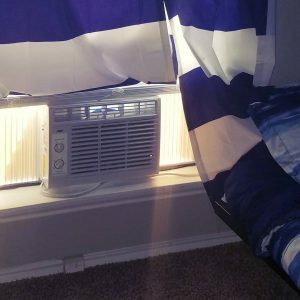 Because this appliance uses an exhaust pipe to funnel air outside of the room where it’s positioned, you’ll need a window kit through which you will place a small exhaust. This will allow the heat being removed from the hot inside air to be expelled with efficiency away from the room and directly to the outdoors. Individuals whose townhouses or condominiums are governed by homeowners’ association regulations that ban the use of any conditioners that hang outside of a window rely on moveable free-standing conditioners. This style doesn’t have any parts or pieces of equipment that protrude from your windowpane and won’t violate homeowner association regulations. Another great advantage to this style of apparatus is its mobility. It is simple and easy to move it from one room or location to another in order to cool various rooms throughout your house without needing to invest in more than one machine. It doesn’t need to remain in one place, making it a more versatile way to control the temperature in your home or office. This versatility means you can move this accessory from your downstairs living room after use during the day, upstairs to your bedroom on a hot summer night to ensure that the atmosphere in the room remains pleasant for sleeping rather than hot and humid. The added advantage of the moveable free-standing cooling apparatus is its flexibility for installation applications. And by using an extended installation kit, this type of AC machine can be vented through a door leading to the outside. Another benefit worth noting is the ability to vent this style of AC appliance through a ceiling using a ceiling vent kit. A ceiling vent installation is becoming more and more popular, especially for placing this machine in a room that is windowless. 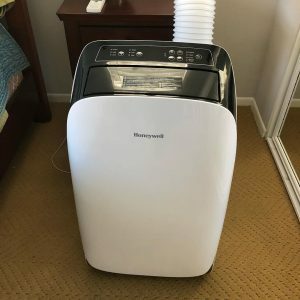 This type of air conditioner is already positioned with part of the machine exposed to the outside in order to properly expel the hot air it has collected from inside the house. This style of AC is perfect when space in the room is an issue since this appliance doesn’t take up any floor space. When in position, this type of AC makes the room look a lot less cluttered and more streamlined. This style also uses energy more efficiently than a mobile AC can, resulting in there being more power to cool the air per BTU. When you are reviewing this style, ask what the BTU rating is. As the BTU number increases, so does the ability of the machine to make room temperatures more comfortable. Also look for such amenities as remote control, timers to turn it on and off even when you are absent, and digital thermostats. If the room is windowless, look for an AC that can actually be installed through a hole cut in the wall. So that this type of installation goes smoothly, be sure to purchase an appliance meant to be used as a Through-The-Wall apparatus. This ensures that the apparatus will contain the type of parts and equipment necessary to be installed in the wall. Be aware that whatever style of AC you choose, there is usually a noticeable humming sound generated when the appliance is in operation. Before making your final selection, look for information on the appliance called the decibel (dB) rating. Choose a machine that offers you a lower decibel (dB) rating number if more peace and quiet is important to you.